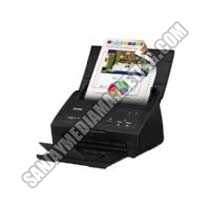 One of the models, Brother ADS2000 Document Scanner that we offer, deals with multi-page scanning quite efficiently. Be it home or small commercial establishments, our product is equipped with attributes such as great color quality, auto size detection provision, compatible with TWAIN, WIA, ICA, etc. It also comprises USB cable along with varied software programs. Buy our intuitive user interface item at a price of Rs. 5614.